With the ongoing financial services Royal Commission, and likely future cases brought before various courts for compensation — or indeed the present building of class action lawsuits on the back of various revelations to come out of the Royal Commission — the ATO has felt the need to run over the rules (as they stand) regarding the taxation of compensation paid to individuals for advice from financial institutions. Paid for advice that they did not receive. The ATO says the tax treatment of the compensation depends on what the compensation is being paid for, and how an investor holds (or held) the investments. Compensation for loss on an investment. A refund or reimbursement of fees. The compensation may relate to multiple investments, with different amounts of compensation granted against each one. 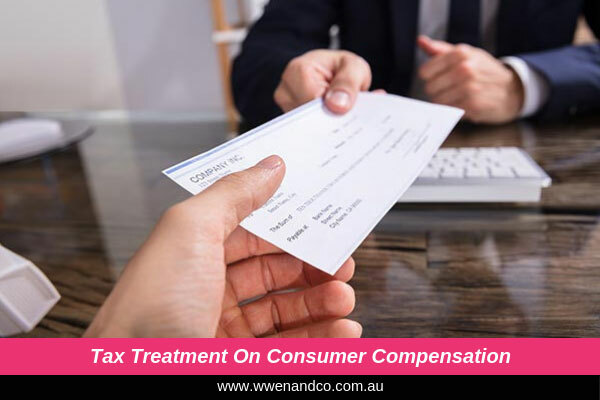 The ATO says an individual will generally be required to consider the tax consequences of each compensation amount separately. You may receive compensation for a loss amount if the value of your investments is lower than it would have been if you had received appropriate advice. There are different tax treatments depending on whether the compensation relates to investments you have disposed of or existing investments. When an investor disposes of an investment, a capital gain or loss may be realised, which is generally reported in the financial year the asset was disposed of. The compensation can be treated as additional capital proceeds relating to the disposal of those investments. If you have more than one investment, you will be required by the ATO to apportion the additional capital proceeds to each disposal. Most investors will be Australian residents for tax purposes, so if the compensation relates to investments held for at least 12 months you will be entitled to the 50% CGT discount. You may, therefore, need to request an amendment to your tax return to reflect the additional capital proceeds if the compensation relates to disposing of investments in a previous financial year. If you have been compensated for investments you still own, you need to reduce either the cost base or the reduced cost base by the compensation amount received, depending on whether you make a loss or gain when you dispose of the investments. Also, it may be necessary to apportion the compensation amount where it relates to more than one investment. A compensation payment may include an amount that is a refund or reimbursement of adviser fees. The tax treatment of this amount depends on whether you claimed a deduction for the adviser fees in your tax return. If a deduction was claimed for the adviser fees in a tax return, the amount received as a refund or reimbursement will form part of your assessable income in the year it was received. If there was no deduction claimed for the adviser fees, the refund or reimbursement does not form part of assessable income. However, where the adviser fees were included in the cost base or reduced cost base of any investments made, you must reduce the cost base and reduced cost base by the amount of the refund or reimbursement. The cost base and reduced cost base are used to calculate capital gains or losses when an investor disposes of an investment. ATO advice is to report the resulting capital gain or loss in the tax return for the year in which you dispose of the investment. If you dispose of these investments and have returned any resulting capital gain or loss in a previous income year, you may need to amend your tax return for that year. The interest component is assessable as ordinary income and should be included in your tax return in the financial year it was received.